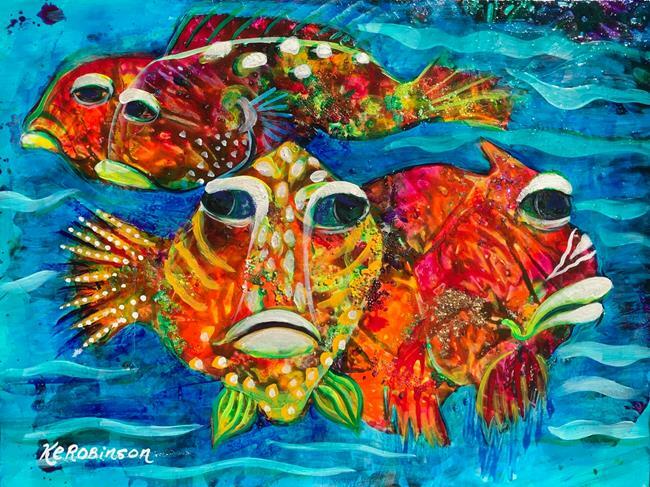 Inspired by tropical blue waters and their colorful fish! about all the coral, I could live down there I think! ;) Perhaps if I were a mermaid! 18x24 inch on stretched canvas, ready to hang or frame!